HPI Racing Savage Flux HP GT-2 Body « Big Squid RC – RC Car and Truck News, Reviews, Videos, and More! 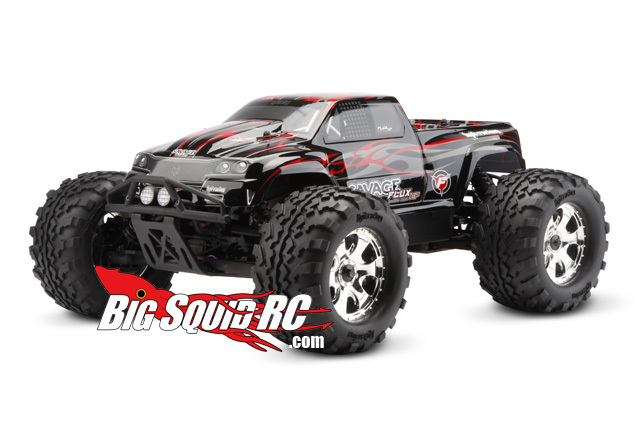 Need a new body for yourHPI Racing Savage Flux? If you owned it for more then a few hours and have driven it on the pavement, trust me, you need a new body! The thing has sooo much power, I tore through the first body in a few hours. If you loved that original paint job, HPI has you covered. The Savage Flux HP GT-2 body comes pre-painted with decals applied so you can easily replace the stock body on the Savage Flux. It’s decked out in stealth black paint with red flames with dark grey accents. It’s pre-cut with body mounting holes pre-drilled, just bolt it on your Savage Flux truck and it will look as good as new!